Charles Bernstein is our postmodern jester of American poesy, equal part surveyor of democratic vistas and scholar of avant-garde sensibilities. In a career spanning thirty-five years and forty books, he has challenged and provoked us with writing that is decidedly unafraid of the tensions between ordinary and poetic language, and between everyday life and its adversaries. Attack of the Difficult Poems, his latest collection of essays, gathers some of his most memorably irreverent work while addressing seriously and comprehensively the state of contemporary humanities, the teaching of unconventional forms, fresh approaches to translation, the history of language media, and the connections between poetry and visual art. Applying an array of essayistic styles, Attack of the Difficult Poems ardently engages with the promise of its title. Bernstein introduces his key theme of the difficulty of poems and defends, often in comedic ways, not just difficult poetry but poetry itself. Bernstein never loses his ingenious ability to argue or his consummate attention to detail. Along the way, he offers a wide-ranging critique of literature’s place in the academy, taking on the vexed role of innovation and approaching it from the perspective of both teacher and practitioner. From blues artists to Tin Pan Alley song lyricists to Second Wave modernist poets, The Attack of the Difficult Poems sounds both a battle cry and a lament for the task of the language maker and the fate of invention. Is Art Criticism Fifty Years Behind Poetry? 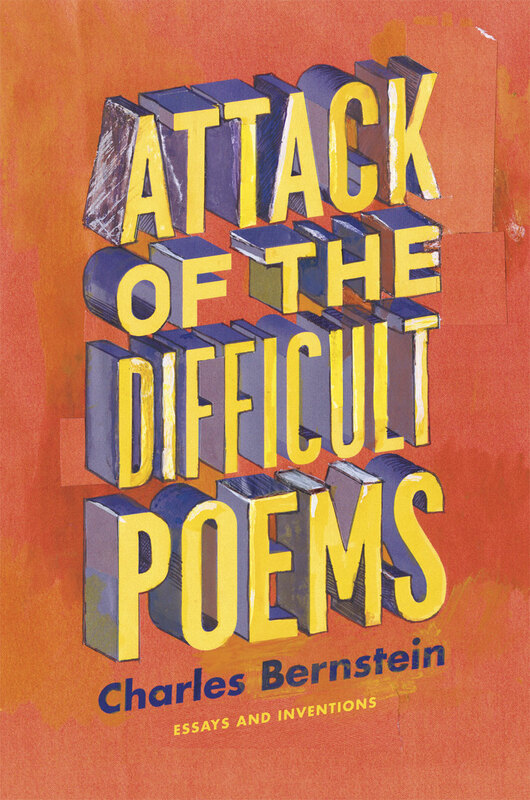 "Bernstein, a professor at the University of Pennsylvania and a remarkably prolific author, essayist and critic, not only defends difficult poems in this collection of essays, but also poetry in general, both as a reader and as a practitioner. In prose that is unconventional and often very funny, he comments as well on the state of the humanities, teaching, translation, the history of language media and the connections between poetry and visual art." "Charles Bernstein’s new book has arrived from Chicago University Press, at my London address, enveloped in several stiff boxes like some kind of rare document. This book, Attack of the Difficult Poems, is a must-have, must-read, for every practicing poet in Britain and Ireland. They should buy their copies online today. This may involve wasting money. But it will be worth it."